Ensure accurate transmission of digital AES/EBU audio signals and digital DMX control signals; and are used widely in the entertainment industry. 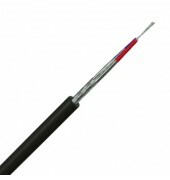 Designed to work normally between 90ohm and 120ohm impedance. The level of shielding enables interference-free transmission even over long distances.